Welcome to my Comfortably Numb chord chart by Pink Floyd. I teach this song to my students once that start feeling more comfortable with strumming and are ready to move on to some barre chord work since this song has a Bm chord in it. The song is mostly open chord but Bm does appear a lot in the verses which can make it a little trickier to play. 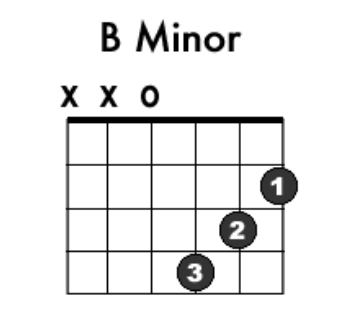 No worries, you can use the east Bm chord below to play a long with. Just nod if you can hear me. Is there anyone home? Come on, now. I hear you’re feeling down. Just the basic facts: Can you show me where it hurts? Your lips move, but I can’y hear what you’re saying. understand. This is not how I am. There’ll be no more, Aaaaaah! But you may feel a little sick. Can you stand up? I do believe it’s working good. That’ll keep you going for the show. Come on its time to go. on it now. The child is grown, the dream is gone.